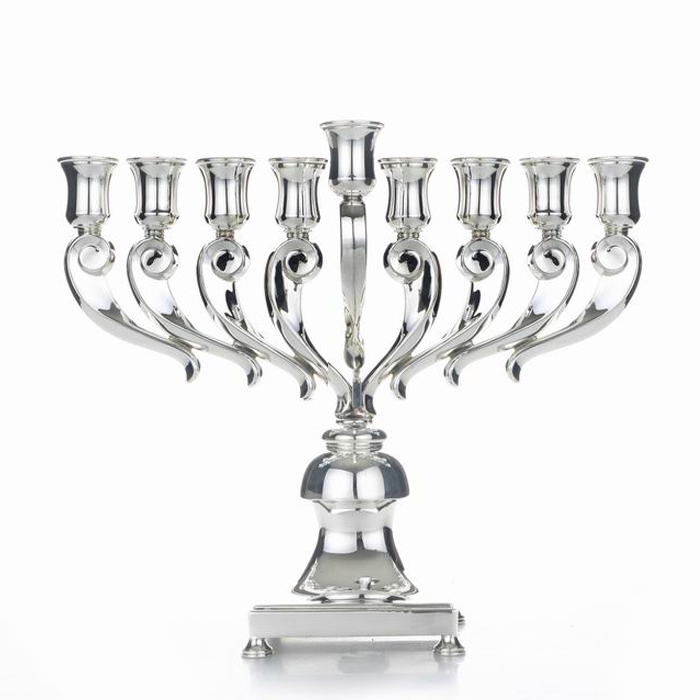 This Hadad Bros. of Israel sculptured Origo Hanukkah Menorah will allow you to light your Chanukkah candles in style. Created in a flowing unusual design, this sterling silver Hanukkia weighs 370 grams. The paisley shape stems of this unusual Origo Hanukkia may have contributed to its name "Origo" which is the Latin root for the word "Origin". Each paisley shaped stem of this Menorah points towards the origin – the center, even though they don't seem to be connected to it. In this Hanukkah Menorah, the artists of Hadad Bros. have kept the traditional eight candles in a row. At the same time, they styled each one in an unusual flowing shape reminiscent of the paisley design, and used the smooth flowing finish of the silver to complement and enhance the design, and to enable the reflection of the Chanukkah lights on the many facets of each individual paisley shape. The flowing ends of each stem seem to be floating in the air even though they are securely attached to each other in a perfect balance. The balance is kept as each stem presents in a slightly different angle, all pointing inwards towards the center of the Hanukkiah. The tightly curled top of each paisley shape is used as a base for the candle cups, which allow you to light your Chanukkah candles either with wax or with oil candles. The cups are also done in smooth silver. The two innermost stems connect to each other, as they connect to the main column of the Hanukkia, allowing the stem for the central candle to grow between them. The main column is a rounded reverse jug shape, mirroring the candle cups. This rounded shape is securely based upon a smooth silver square base, which stands on four perfectly formed smooth silver legs. 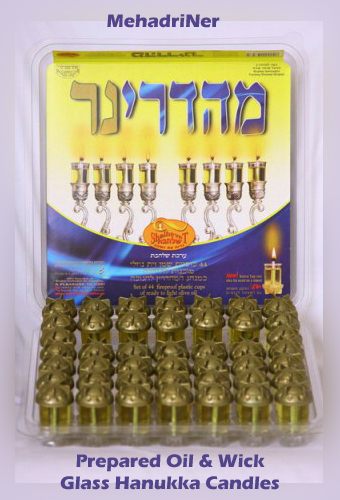 The candle cups are all aligned in the traditional manner in one row, and the central ninth candle – the "Shamash" (the Hebrew word for "servant" or "caregiver") rises higher and out of the line of the eight candles. It is customary to start this Jewish Holiday with lighting of one candle, proceeding to add one each night, until on the eighth night all eight candles are lit. This unusual example of a Hanukkah menorah will be a worthy addition to your Judaica collection. At the same time, it would be an amazing gift for someone you truly care for. This Menorah is 8.6" high and 10" wide (22cm x 25cm).